Well, I finally got what was suppose to be a wall hanging finished! It turned out to be under glass instead of a wall hanging. 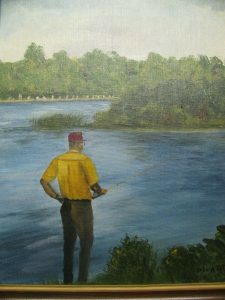 But, since that is how Dad wanted it that’s what dad got!!! lol He decided he wanted it under glass rather than able to get all dusty on the wall so that what I ended up doing. Thank you !!!!!!!! For all your help with this!!!!!!!!!!!!! It only took me two years to make. But I ended up learning 2 digitizing programs, PE Design Next and 10 as well as what it takes to make something like this! Forever !!!!! lol !!! 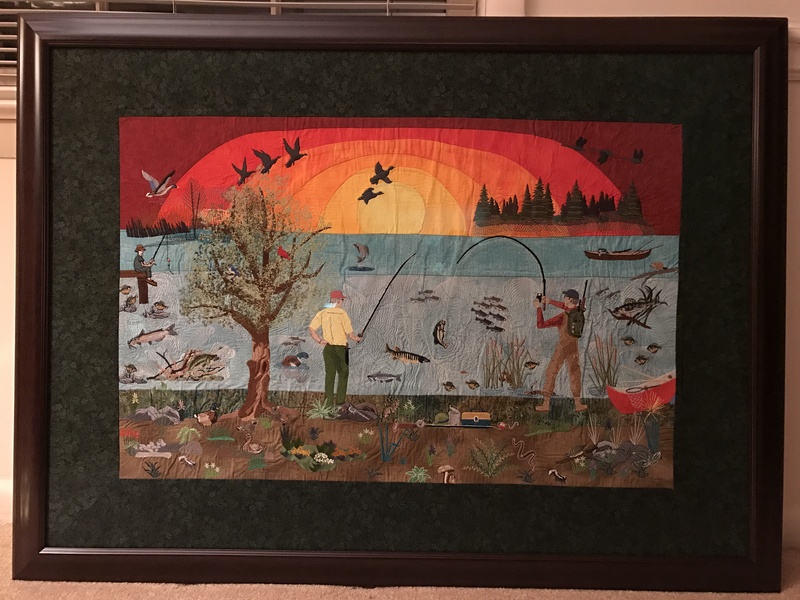 I just love the design, my brother is a keen fisherman and would love a wall hanging of this designs, can I purchase the design. I really hope so! I would the pattern for this, it’s beautiful. 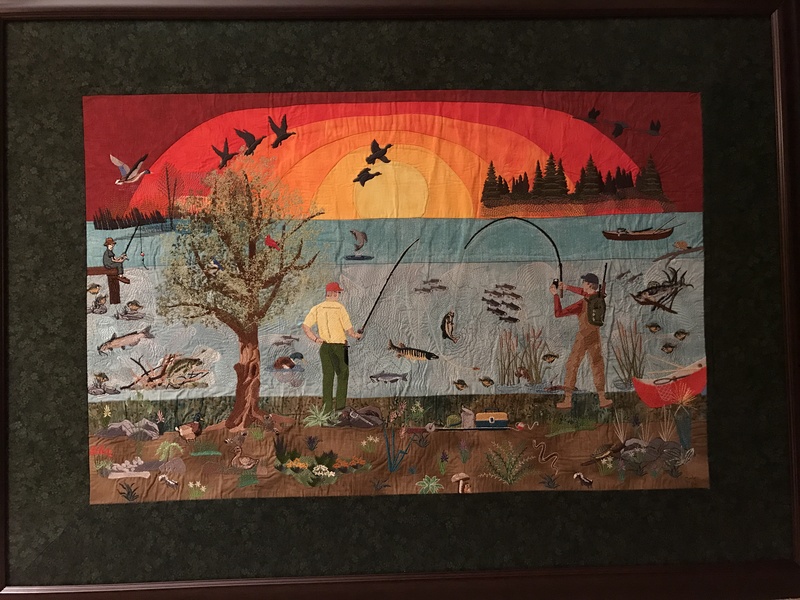 My brother loves fishing and would to have it on his wall. Is the pattern for sale or something similar?.